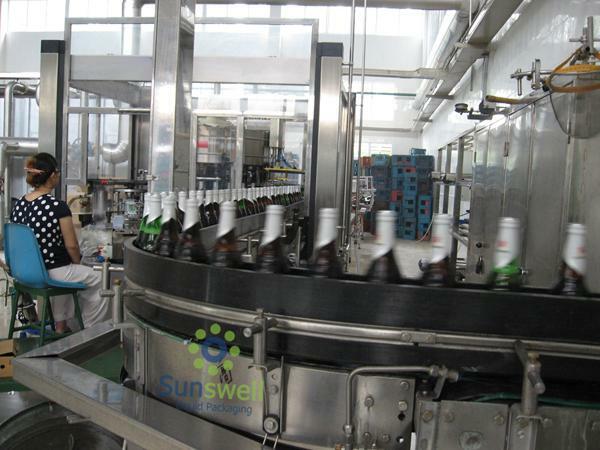 The machine for glass bottle integrates the function of rinsing, filling and capping together. 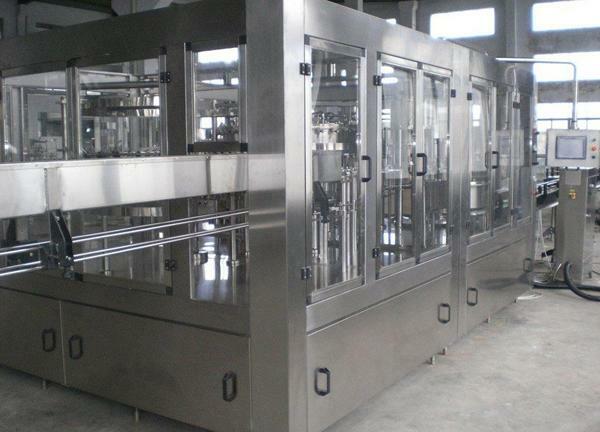 Based on advanced technology overseas, and designed according to filling processing demands of carbonated drinks and soda water to be one of the advanced filling production lines. 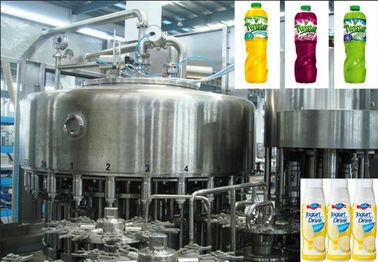 The bottle enters into the filling part of 3-in-1 machine through screw by convey chain. The filling valve acted by the cam can realize up and down. 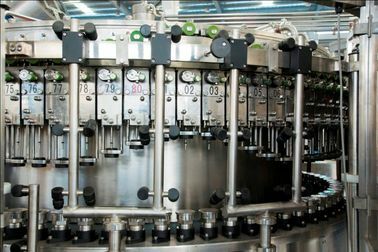 The filling valve opens and begins filling when it moves down and touches the bottleneck, the filling valve move up and leave the bottleneck when it finishes filling, the full bottle is transferred to the capping part through hold neck transition poking wheel. The guard plate holds bottle upright not rotating. The screw capping head keeps in revolution and autorotation. 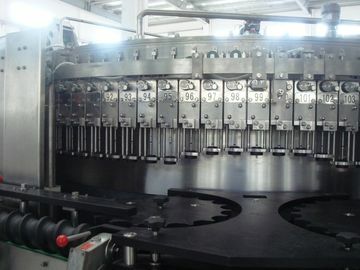 It can finish a whole capping course including catching, pressing, screwing, discharging through the action of the cam. 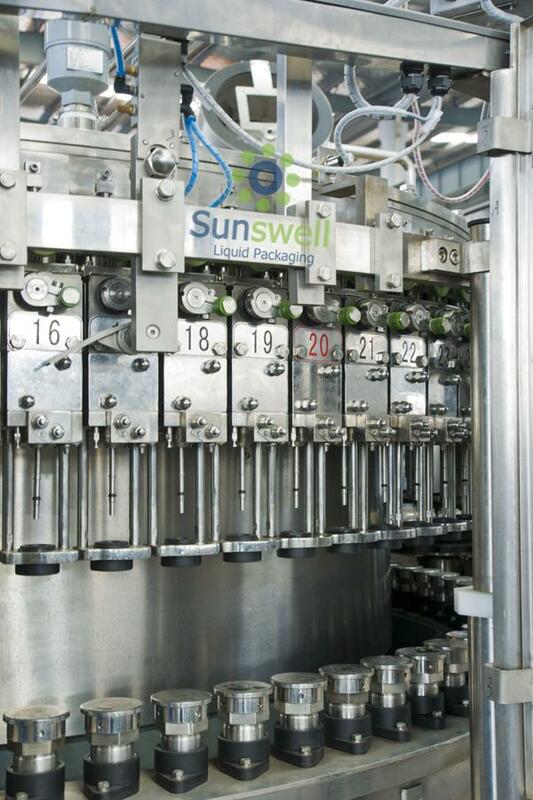 The full bottle is transferred to bottle outlet conveyor to the next process through poking wheel. Water, soda water, juice, carbonated drinks, CSD, cola, soda water, energy drinks, kvass, beer, etc. in Glass bottle of all volumes and shapes. Rotary rinser: applicable for wine, beverage and water cleaning. 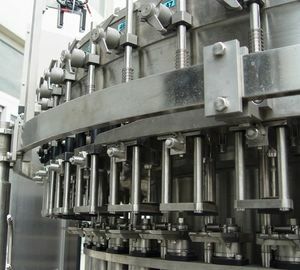 The new bottle is transported through the separation screw and starwheel by the clamp and turn over device; bottle neck is held up words, after aseptic water rinsing, the bottle neck goes up and transported to another process. If no bottle or stop, rinsing stops; while it comes to bottle, it runs again. Screw capper is our company introduction of German technology, self-designed and manufactured, with peer leadership, stable performance equipment. Screw cap heads have novel structure, beautiful shape, easy to clean, easy to adjust. 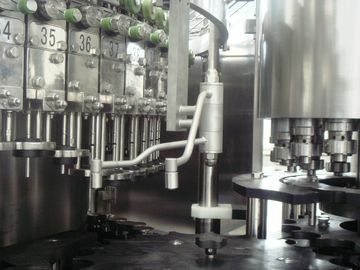 Screw cap pressure is adjustable, so that after sealing cap thread clear, full, the appropriate pressure on the top of the bottle to ensure reliable sealing. 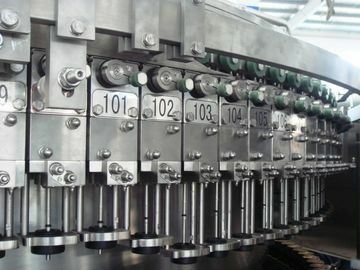 304 stainless steel cap machine, reducing the secondary pollution of bottle cap, 304 stainless steel under cap tank, cap storehouse and under cap tank with electric no cap check system, Automatic control conveyor cap machine and whole machine speed, can be realized without bottle don’t conveyor cap, off cap and without cap can auto-shut-down. 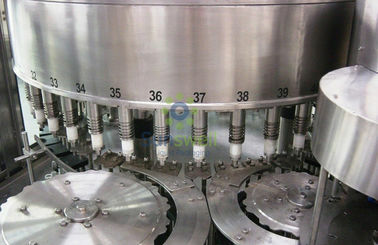 Rotary cap unscrambler adopts air blow cap unscrambler, without damaging the surface of cap, avoiding the cap extrusion deformation, hopper have check cap switch, control. 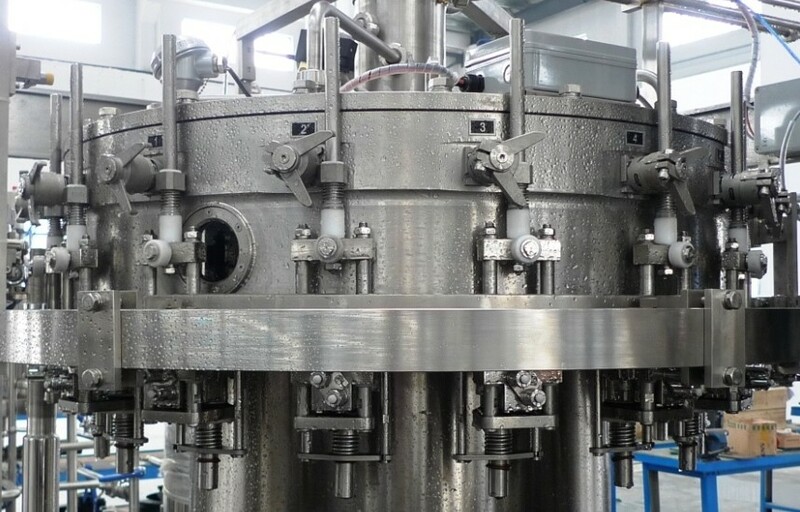 Screw capper is our company introduction of French technology, self-designed and manufactured, with peer leadership, stable performance equipment.